If you haven't started your holiday gift shopping, there's no need to worry. Pinterest analyzed its top gift-related searches and saves to determine the top trending gift ideas for the year. From themed gift baskets to tools for the tech-savvy, check out the top ideas to pin to your own boards. Pinterest says gift baskets are rising in popularity, as are experiential gifts, meaning gifting people moments and activities over material items. Many people admit they have a "work wife" or "work husband," the person they go to when they need some emotional support at work. Pinterest says searches for work spouse gifts have spiked, so here are the top ideas for your favorite colleague. Pinterest says it's seen a 37 percent spike in pinned saves for nature-inspired jewelry. Here are its top three ideas for those who like shine and sparkle. Home decor gift idea saves have increased by 123 percent on Pinterest. Here are three ideas to keep someone's house looking dazzling and perfectly decorated. Health and personal wellness ideas were saved by Pinterest users at a whopping 231 percent growth. 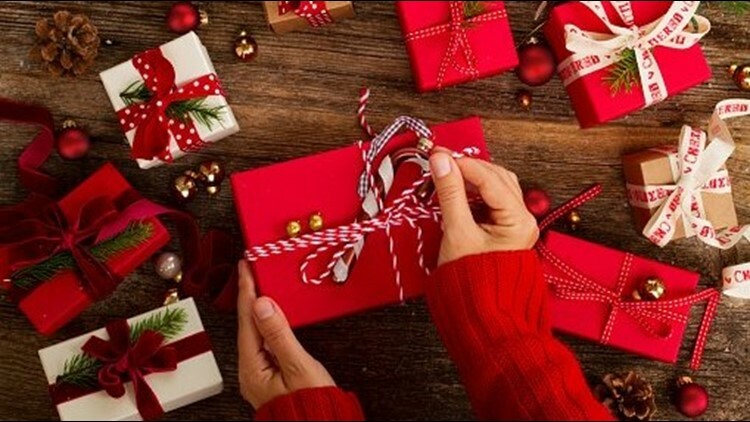 Check out these top gift ideas for those who like to take care of themselves.